It's the one piece of Beatles history that many fans have never had the chance to see. The 1967 film Magical Mystery Tour will finally be released on CD, Blu-Ray and a special boxed edition on October 8 via Apple. The long out-of-print film has been completely restored by Paul Rutan, Jr. of Eque, Ltd. who recently did the same work on Yellow Submarine. 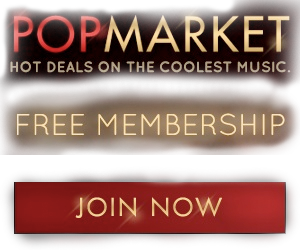 Giles Martin and Sam Okell oversaw the soundtrack work. Both formats include a host of special features, packed with unseen footage. There are newly-filmed interviews with Paul McCartney, Ringo Starr, and other members of the film's cast and crew, as well as a director's audio commentary recorded by Paul. In September 1967, The Beatles loaded a film crew onto a bus, along with friends, family and cast, and headed west on the A30 out of London to make their third film, this time conceived and directed by The Beatles themselves. "Paul said, 'Look, I've got this idea,' and we said 'Great!' and all he had was this circle and a little dot on the top – that's where we started," explains Ringo. "It wasn't the kind of thing where you could say, 'Ladies and gentlemen, what you are about to see is the product of our imaginations and believe me, at this point they are quite vivid'," says Paul. 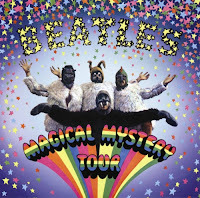 The film follows a loose narrative and showcased six new songs: Magical Mystery Tour, The Fool On The Hill, I Am The Walrus, Flying, Blue Jay Way, and Your Mother Should Know. Magical Mystery Tour features a fabulous supporting cast of character actors and performers, including Ivor Cutler, Victor Spinetti, Jessie Robins, Nat Jackley, Derek Royle, and the inimitable Bonzo Dog Doo-Dah Band. Although the 53-minute film was shot in glorious color, it premiered on UK television in black and white. Broadcast by BBC1 at 8:35pm on Boxing Day, the film immediately attracted widespread controversy as middle England and the establishment media erupted with indignation. "How dare they?" they cried, "They're not film directors! Who do they think they are?" they howled. Where were the four loveable moptops of Help! and A Hard Day's Night? Those Beatles were out of control! Partly as an upshot of this adverse reaction, the film never had a US broadcast and very limited distribution in the rest of the world. The film will also be shown in theaters around the world on September 27. The Making of Magical Mystery Tour [19:05] - Features interviews with Paul and Ringo, along with other cast members and crew. Includes unseen footage. Ringo the Actor [2:30] - Ringo Starr reflecting on his role in the film. Meet the Supporting Cast [11:27] - A feature on the background and careers of Nat Jackley, Jessie Robins, Ivor Cutler, The Bonzo Dog Doo-Dah Band, Victor Spinetti, George Claydon, and Derek Royle. Three new edits of these performances, all featuring footage not seen in the original film. Hello Goodbye, as featured on Top of the Pops - 1967 [3:24] - The Beatles allowed the BBC to film them in the edit suite where they were working on Magical Mystery Tour. This was then turned into a promo by the BBC, who shot their own additional footage. It was then broadcast on Top of the Pops to mark the Hello Goodbye single going to No. 1 in December 1967. Nat's Dream [2:50] - A scene directed by John featuring Nat Jackley and not included in the original film. I'm Going In A Field – Ivor Cutler [2:35] - Ivor performs I'm Going In A Field, in a field. This scene was not included in the original film. Here We Go Round The Mulberry Bush – Traffic [1:53] - The filming of Traffic acting out their 1967 hit single Here We Go Round The Mulberry Bush was commissioned by The Beatles for possible inclusion in Magical Mystery Tour, but was not included in the final edit.